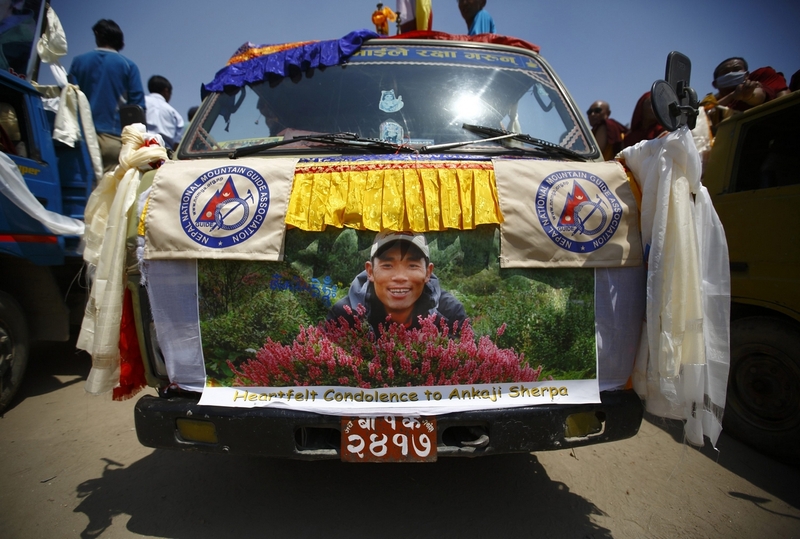 Portrait of Ankaji Sherpa, who lost his life in an avalanche in Mount Everest last Friday, is seen on a truck carrying his body during a funeral rally of Nepali Sherpa climbers in Kathmandu. 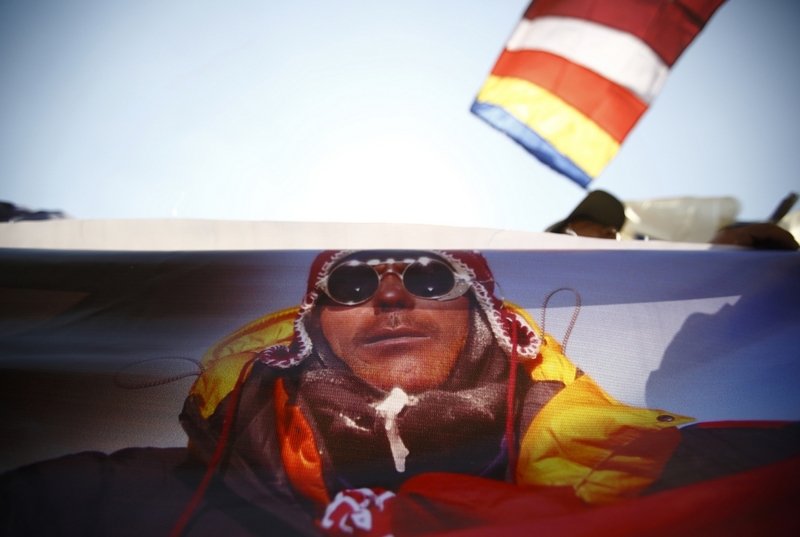 The tragedy that took 16 lives on Everest has shaken the tightly knit community of Sherpas and local climbers to the core. 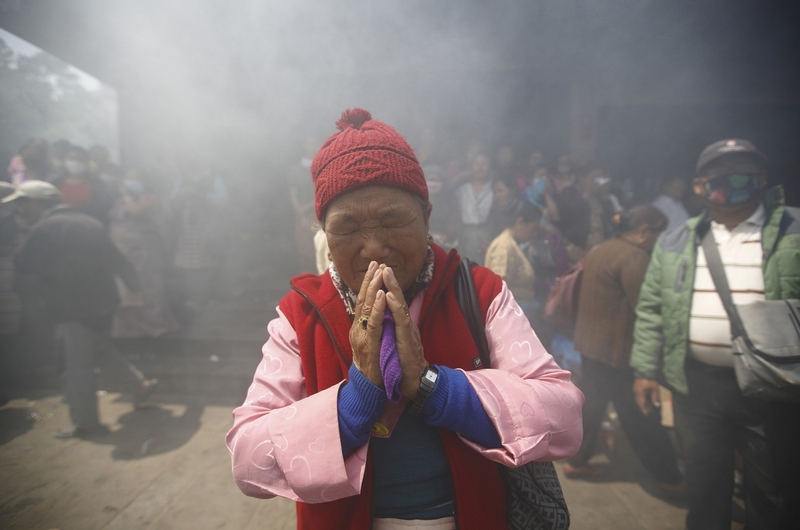 Therefore, as devout Buddhists, it was only natural that they believed this was indeed a 'Black Everest Year', a year when the goddess on Everest is upset, and that it is best to leave her alone. It was a perfectly natural decision. What is not natural, and absolutely unacceptable, is that some of the trekking companies in Nepal and the Nepali government are still urging the Sherpa guides to go back up the mountain. 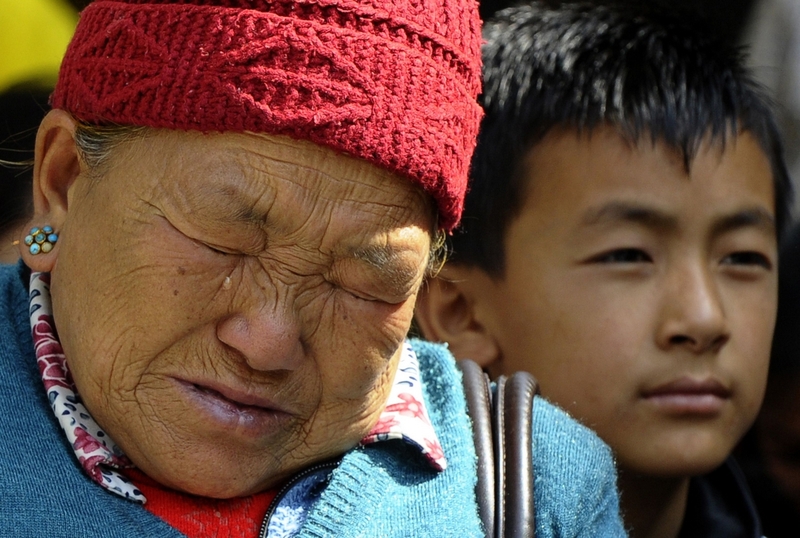 It seems, for the Nepali government and these trekking companies, the loss of 16 lives is not enough. 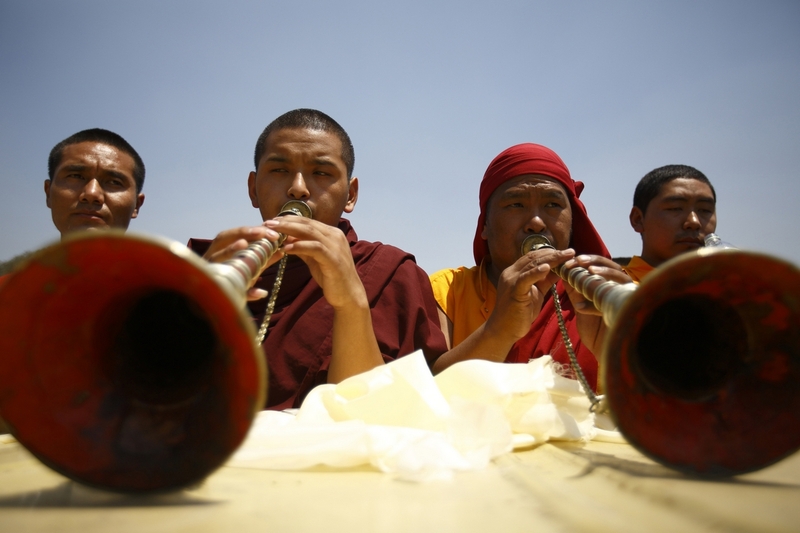 They appear to be comfortable with, and perfectly capable of, playing Russian roulette with the lives of Sherpa guides. If the Western climbers and clients would like to continue climbing Everest this season, then by all means, please be our guest. 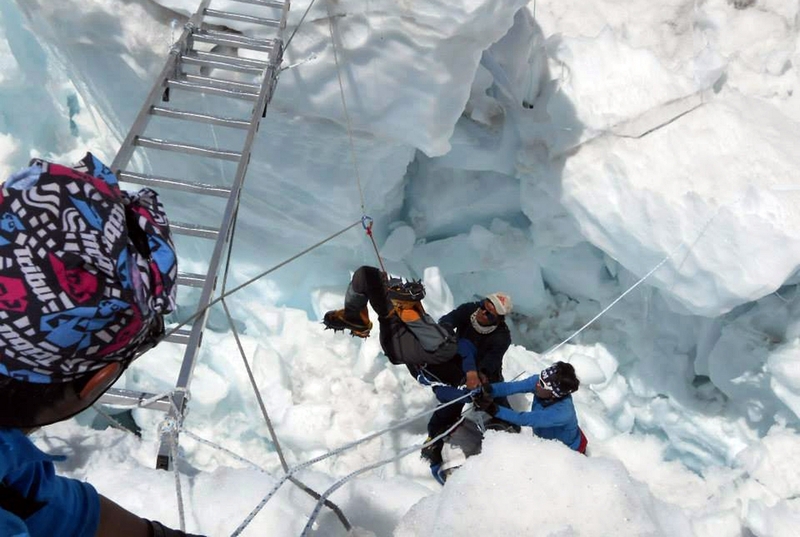 Just don't ask our Sherpa people to go ahead and fix the ropes and ladders for you. 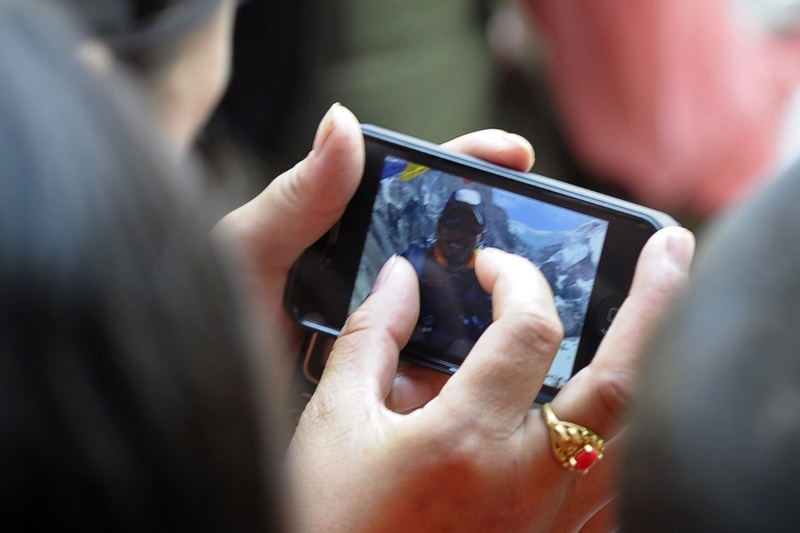 Or don't ask your trekking agents in Kathmandu to urge the Sherpa guides to make the climb. We have already lost 16 members of our family this year, and for us, that is unbearable. The first phase of the tragedy has essentially taken away precious lives. 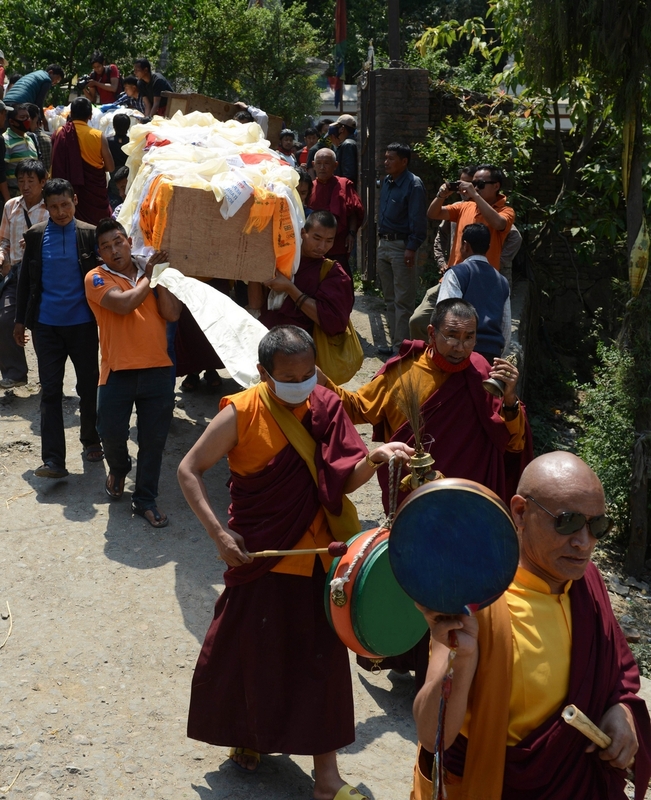 The second phase of the tragedy will continue as the families left behind bear the brunt of the loss for a long time, emotionally and financially. Most of these guides have left behind young families who will have to fend for themselves. 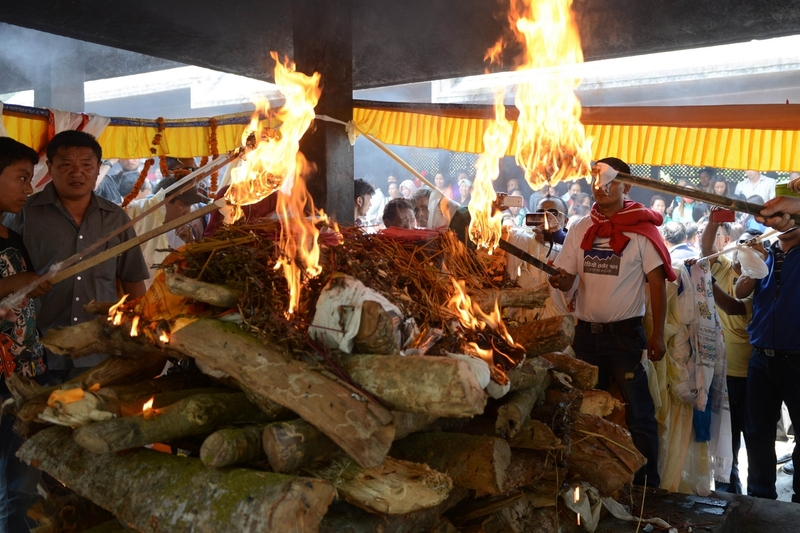 These families will collect about Rs 1.1 million (S$22,660) in insurance proceeds, while it will cost at least half a million rupees to simply follow the funeral rituals for the departed souls. 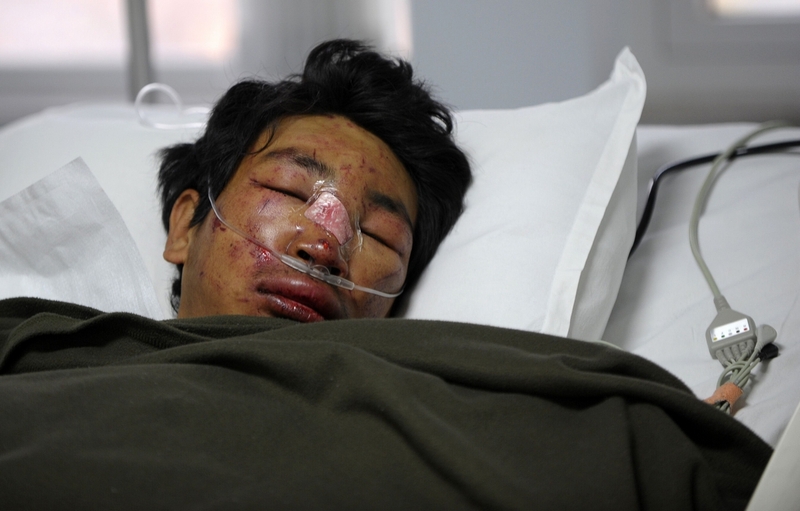 It is unreasonable that the value of a Sherpa guide's life is set at mere Rs 1.1 million. Worse still, a good number of these trekking companies are managed or owned by Nepalis, and even ethnic Sherpas. While everyone has been quick to blame westerners, especially the inexperienced 'trophy' climbers, the Nepali government, or even the media, the main responsibility should lie with the trekking companies who always stand to gain the most. 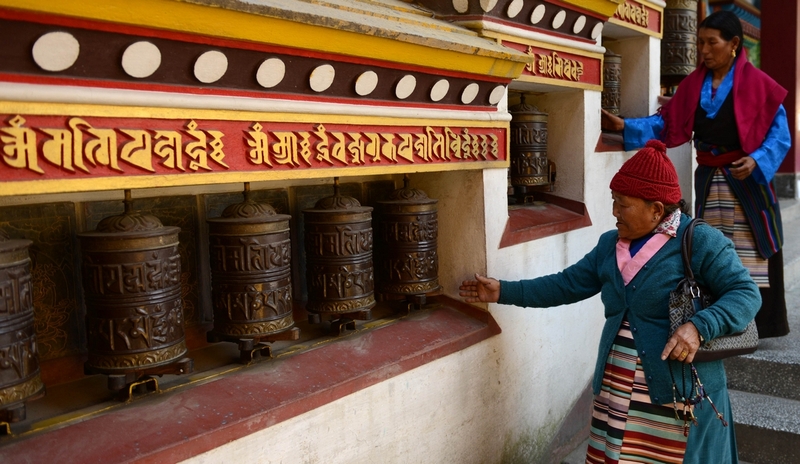 These companies simply handed Rs 1.1 million as set by the government and refused to spend another Rs 20,000 rupees per Sherpa guide to increase their life insurance coverage to Rs 2.3 million. These are the same companies which successfully lobbied the Nepali government to lower the Everest climbing fees from US$25,000 (S$31,450) to US$11,000 just this year, to obviously increase traffic on Everest, and raise their profits. 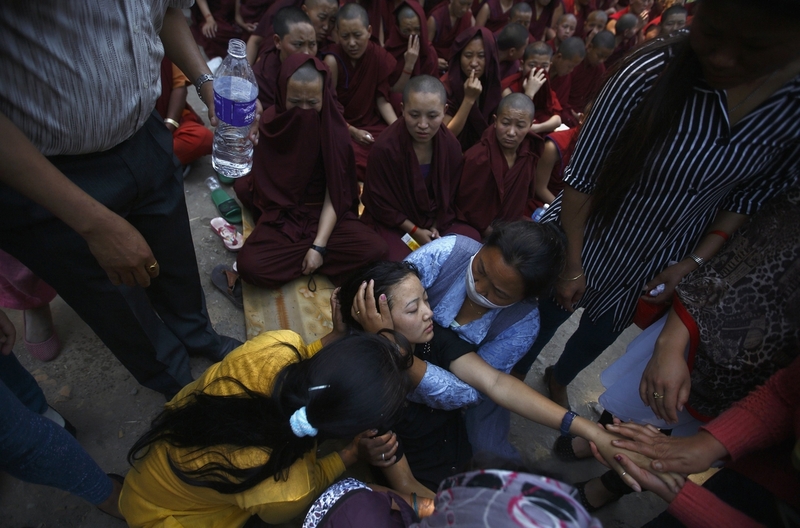 All the while, they conveniently kept the meagre insurance coverage for the Sherpa guides the same. When my uncle died on a mountain in the early 70s, his insurance proceeds were Rs 100,000, which in today's terms with inflation adjusted at 10 percent, should be at least Rs 4.5 million. Some have argued that Sherpa guides make a decent living by earning Rs 300,000-500,000 per season. First, these are best of the best climbers in the world, and even the top western climbers rely on Sherpa climbers when they come to the Himalayas. Second, this is a profession that is fraught with so much risk that Outside magazine defines it as the most dangerous profession in the world, in fact three and a half times riskier than that of a US infantryman during the first four years of the war in Iraq. There is simply no other profession in the world that kills or maims its workers at such a high rate. In these Everest climbs, Western professional climbers also join the group, and they perform much safer tasks than the Sherpa guides, but make about Rs 5 million each season. Therefore, the combination of risks associated with the profession and the meagre insurance payout of Rs 1.1 million will take a heavy toll that on the widows and orphans of the climbers for many years. 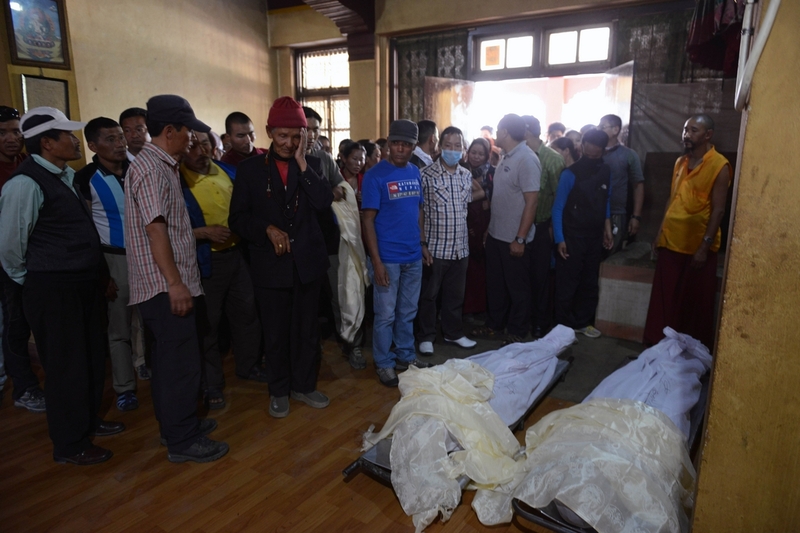 It is high time that we have an honest and frank discussion regarding the safety of the Sherpa guides on Everest, and also the insurance proceeds that will support the remaining family members when such tragedies strike. Given the poor track record of the trekking companies, a viable and practical solution would have to come from the government. The government has to mandate a strict set of rules and regulations to create a safer working environment for the climbing guides to minimise risks. It should then impose a much higher mandatory insurance coverage, which should be set at a minimum of Rs 4.5 million. For their part, the climbing guide community has to create a stronger association that is not influenced by the government, their clients, and above all, the companies who employ them. As long as Everest stands up there, there will always be people aspiring to reach its summit, and that means there will always be Nepali climbing guides toiling on its slopes. Casualties will follow most certainly. Therefore, we just can't continue pretending that another similar accident will not happen. We just can't pretend that with the sole bread earners gone, the remaining widows and orphans will be just fine. It is imperative that we all work together, and create something positive out of this tragedy. We should all make this tragedy the turning point, after which Everest becomes safer not only for the paying clients and western climbers, but also for the local climbing guides. And when the inevitable tragedies do strike, at least the remaining family members are well taken care of financially. We cannot allow anyone to play Russian roulette with Sherpa lives any longer. Sherpa is from Khumbu village in Solukhumbhu and currently works for a private equity fund in Denver, Colorado.